Joy McManaman is a full time artist currently living in Park City, Utah. Originallly from Washington, DC metro area, Joy was always fond of painting and drawing from a young age. She has been refining her craft for over 20 years, studying under renowned and accomplished artists from an early age. Joy received her Bachelor's in Studio Art with an emphasis in painting from the University of Maryland, College Park. Joy has always been intrigued by the vibrant colors of nature and this is where she draws inspiration for her passion of painting outside "en plein air". She strives to draw the viewer into her paintings with the careful placement of light, while capturing peaceful, serene, and thought-invoking moods. She often travels throughout the western U.S., Alaska, and Canada, where she find the vast mountains and wildlife truly inspiring. 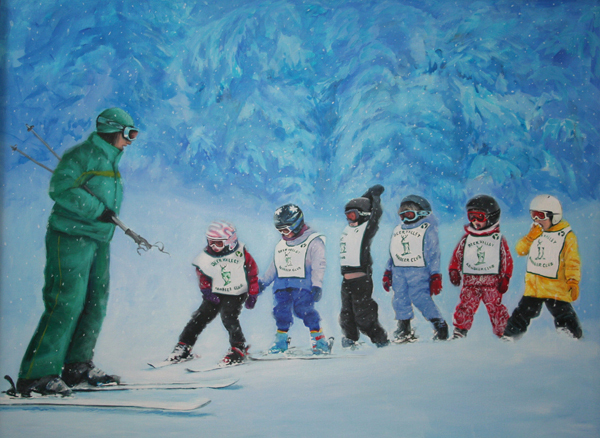 Joy has displayed and sold her work in several solo exhibits and auctions throughout the United States, and she has been commissioned to create several murals for the Montage Resort at Deer Valley (pictured below). 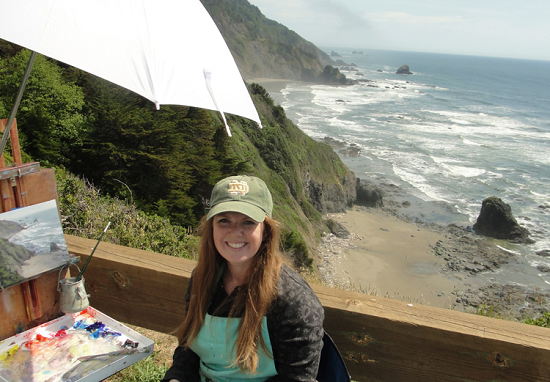 Joy teaches private painting lessons in Park City, and she is also a teacher at the Kimball Art Center.